We take exceptional pride in providing quality products that provide durability and are made for tough, real-world conditions. 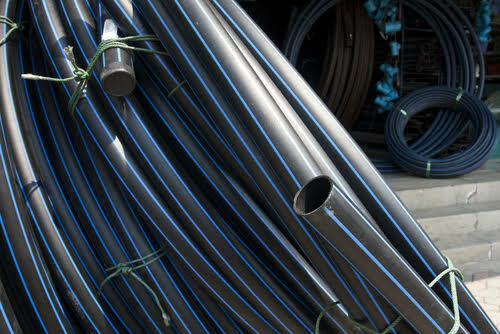 With HDPE pipe, it is acclaimed for its tensile strength, but a rare scenario may arise where a repair is required. Thankfully, repairing high-density polyethylene plastic does not differ much from repairing any other. The first step you’ll want to take is the most obvious: assess the damage. If there are cracks, measure their length. If you notice holes, switch from the measuring the length to the diameter. Once you fuse the pipe, you’re obviously not going to want any cracks, so make sure to find where the cracks end and then drill a hole about 1 3/4-inch from the crack so that it does not spread. The above steps are perhaps the trickiest but will become easier with practice. You may have a different approach as to how to go about it, but these steps can serve as a foundation on how to repair the pipe safely if you’re in a pinch.